A basic tenet of all levels of civic education is that citizens should vote. We are told of the importance of voting in social studies classes, Scouting, and in community groups. Yet, a surprisingly large number of people never learn the lesson. Voter participation in the United States is abysmal when compared to other countries, and Virginia is one of the worst among the states. Many excuses are given–people do not feel their vote makes a difference; campaigns are too long and too negative; issues are too complex; it does not make a difference who wins; all politicians are crooked. Added to voter uncertainty and apathy are purposeful actions on the part of government to make voting inconvenient and difficult. Elections are held on days when most people have to go to work. Voting early through the absentee voting process in Virginia requires a specific approved excuse. Please note that this year there is an additional requirement: you must present identification that has your photo on it. Some who see it to their advantage to keep poor people and seniors who might vote for the candidates of the other party from voting have added this additional barrier in order to solve a non-existent problem that people have been voting for someone else. Next Tuesday, November 4, is another election: there is one in Virginia every year. Mark it on your calendar and stick a note on the refrigerator. Take a friend or neighbor with you to the polls and certainly ensure that your family members vote. Take along a photo ID. Let’s beat the numbers on low participation and do our civic duty. This is the federal election year cycle. We can do our part in making Congress functional again. Senator Mark Warner has been doing his part in taking on the big issues, working across the aisle, and showing leadership in getting the U.S. Senate to do its job. He deserves our support. If you live in the Eleventh Congressional District as I do, we could not have a better Congressman than Gerry Connolly. He was an excellent member and chairman of the Fairfax County Board of Supervisors and has shown as a member of Congress that he understands our issues and is not afraid to speak out. Next door in the Tenth District the choice could not be clearer. If the Republican nominee wins, you can expect to see her on Fox News each evening bashing Democrats for that has been her lifetime job. John Foust will provide the district with steady, sensible and principled leadership. Encourage people to vote for him. In the Eighth District, former Lieutenant Governor and Ambassador Don Beyer will bring intelligence and reasonableness to the job. There are two questions on the ballot. The state constitutional amendment question asks if the General Assembly should be permitted to exempt from taxation the property of surviving spouses of soldiers killed in action as it can now do for veterans. I recommend its approval as another small way that we can show appreciation for the sacrifices of members of the Armed Services and their families. A Fairfax County bond issue question is on the ballot seeking authorization for a $100 million transportation bond. The money will provide for important road improvements to relieve congestion and to improve pedestrian and bicycle safety and access. I recommend that it be approved. Vote on Tuesday, November 4. As the teacher said, it is our civic duty. 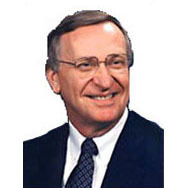 Ken Plum is a member of the Virginia House of Delegates.